We Get Around has engaged Animamos to create hundreds of videos for We Get Around Referral Network Basic, Standard, Premium and the Essential Launch Marketing Tool Kit Members including these four videos – customized with Members' contact info and company logo – and these 12 special offer videos for Members. You can engage Animamos directly to create custom marketing videos too. From scripting to professional voiceover to the animation, @VideosByAnimamos provides an easy, fast and affordable solution for your visual storytelling needs. At 4 pm EST Tuesday, (10 May 2016) - in this thread - I will ask 20 Questions Live of Animamos Founder @Conor Brady. Tune in 11 an EST – Tuesday, 17 May 2016 – for 20 Questions Live with Animamos Founder @Conor Brady. Tune in 11 an EST – today (Tuesday, 17 May 2016) – for 20 Questions Live with Animamos Founder @Conor Brady. 20 Questions Live begins at the top of the hour. Thank you for holding your questions until the end. Thank you for creating hundreds of marketing videos for Members of the We Get Around Referral Network (whom all are also Member of the Matterport User Group Forum community). And, all customized with the Members' contact info and logo. When you meet someone new, how do you describe what Animamos does? Yes. I remember when you posted in the MUG Forum, an animated explainer video about eu3D, and thought, "WOW! a Matterport Pro that is using video to help explain what he does. I want to do that for We Get Around Referral Network Members." So, why should Matterport service providers use video content to promote their business? So I was doing some study last night, I'm a bit of a video nerd, and one interesting stat was that by 2019 it is estimated that 79% of internet traffic will be video. People are wanting to read less and less text and have funcionality explained in a minute to them and also why it is beneficial. So you're informing but selling your service at the same time. Then they make their mind up really quickly, which if you think about it, makes a lot of sense as we are bombarded from all angles on the internet. These are amazing statistics. Though probably skewed by my wife watching and exchanging "Caterday" videos on Saturdays with her friends. so animation is obviously easy on the eye, there are complex studies by psychologists saying that we absorb it better since most of us grow up on cartoons (I have a young son now, and he's not interested in filmed video, I notice) - it's pretty difficult the understand the exact science without a training in neuroscience, but all I know is that I can remember 2D figures for a long time after, maybe becuase there are not so many features to remember! and production costs are a lot lower. Although we are looking at providing real actors and mixing it with animation, there's some pretty cool engaging stuff you can do. It's basically if you want to give confidence to your audience, there's nothing like a human face... There are so many different solutions for different needs.. and only now that we're seeing hard data on the effects of video over the internet. Exciting times. Yes. The animation appealed to me because it can be hard to describe what we do and the animated video makes it easy and fast to digest in about a minute. 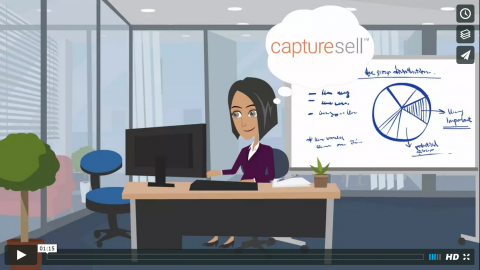 Here are two examples of how We Get Around Referral Network Members uses the videos we provide them – created by Animamos - on the front page of their website: CaptureSell and Wicked Awesome 3D Photography. What other style animation video does Animamos offer and why pick one style versus another? 2 of 12 Special Offer Videos | Free use by We Get Around Referral Network Basic, Standard and Premium Members. Yes. 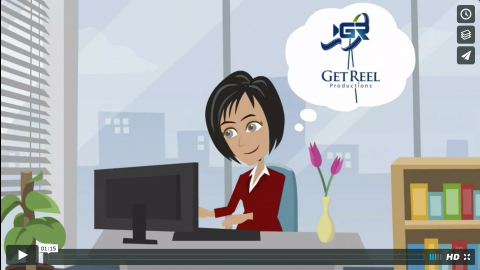 I the marketing videos that you create for We Get Around Referral Network Members. 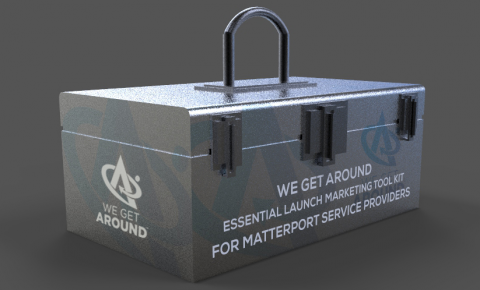 For Matterport User Group Members that do not want to join the We Get Around Referral Network – or, would like something other than what's in our library of animated explainer marketing videos and special offer videos, what's the process working with Animamos to create a one minute explainer video for their Matterport service provider business? So basically we set up a call by skype or whatever and discuss their goals, if it's their matterport business it's easy for me as I have a matterport business in Rio de Janeiro, Brazil, but if they have another business like matterport user @ DANIEL PETROSIAN who contracted us to do a video for his site greensourcejanitorial.com we have a meeting online to understand their business needs and unique selling point, then we have a professional script writer who takes over. When the script is ready in a day or 2 it is reviewed by client and changed if necessary. When it's ready we get the voiceover done and next animation. We can make adjustments according, and don't rest until client is ready. I have one client on the go at the moment for a one minute company explainer video and we have exchanged over 100 emails!! Conor, thanks for sharing. That's a great reminder that many Matterport User Group Forum Members have other businesses that can benefit from Animamos one-minute explainer videos. By the way, where are your offices and where are you located? Yes. You have created hundreds of videos for We Get Around Referral Network Members and we've done in all online with you. We love that. So, thank you for joining us for 20 Questions Live in the Matterport User Group Forum. Any question that I have not asked that you want to answer? Also, any positive criticism would be welcome as to how we could improve our service. one last thing, a tip for guys with videos, there is a concept in advertising called "below the fold" and "above the fold" going back to the day when newspapers had a fold in them, this is important to keep in consideration when deciding where to locate your video on your site (below the fold is where you have to scroll down). There are some interesting studies you can google, but basically if your video is above the fold, there is a higher chance of it converting visitors into customers. All great questions. And, thank you again for joining us. For We Get Around in Atlanta, we offer the "I am a Real Estate Agent Video" with their first order. Standard Members of the We Get Around Referral Network get two free marketing videos - customized with their contact info and logo. I encourage them to use one of the two for a real estate client to win their business. The Kit also includes the free use of all 12 Special Offer Marketing Videos. Considering that we customize the marketing videos with the Members' contact info and logo for free and that the Member gets the free use of the marketing video as long as they are a Member, it's a huge value for being a Basic, Standard or Premium Member of the We Get Around Referral Network.